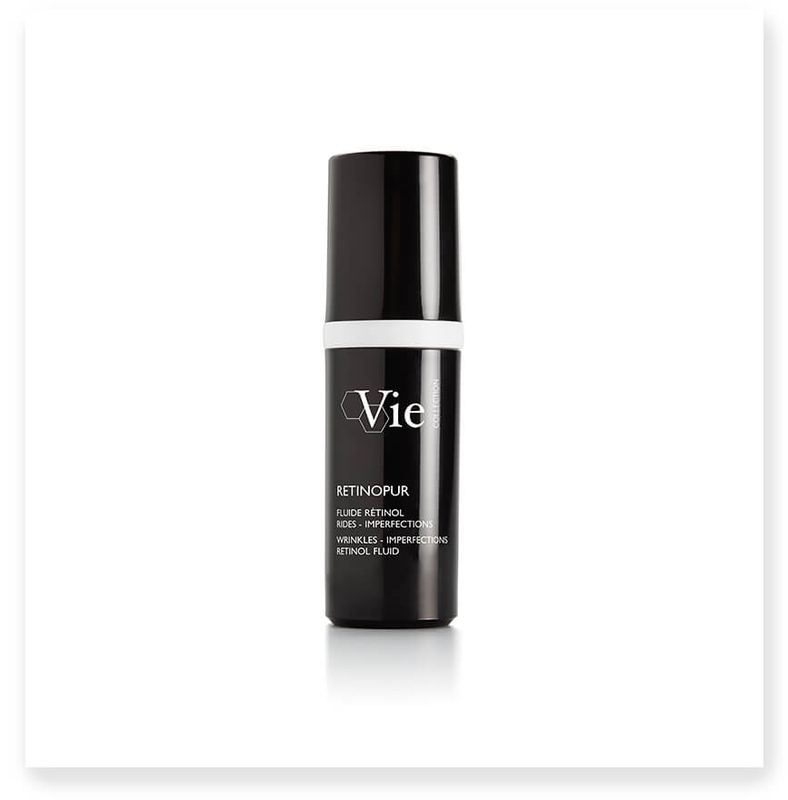 RETINOPUR, a light fluid specially formulated for combination to oily skin, is instantly absorbed by the skin. Its ultra-gentle, non-greasy and non-sticky texture mattifies the skin. Apply morning and evening to perfectly cleansed face, before usual cream. Non-comedogenic. Tested under dermatological control. Encapsulated Retinol: Retinol, also called Vitamin A or retinoic acid is the reference molecule for dermatologists and is widely used in anti-acne and anti-aging treatments.Pure retinol is encapsulated in cyclodextrin, a natural protective cylinder obtained through biosynthesis, which is well tolerated by the body. Lipoaminoacid: A bi-vectored active ingredient comprising amino acid and glycine grafted to a fatty acid. This multi-purpose dermo-purifying complex targets all causes of skin imbalances. *Satisfaction test performed on 23 women after twice daily application for 28 days. **Clinical scores for 23 women after twice daily application for 28 days.